Air conditioner service: three things you can do at home • The Air Geeks, reviews of air conditioners, dehumidifiers and air purifiers. An air conditioner is a cooling system that helps to transform the environment of your home or office. This appliance ensures that your space has a cool environment even when the external temperatures are unfavourable. Air conditioners are widely used in homes, offices, hotel rooms, and other spaces to control temperature and ensure that it is within the desired limits. In addition to controlling temperature, most conditioning units offer additional features that help to improve the air quality of your space. In case you have been straining to relax in your house or office due to unfavourably high temperatures, then you need to invest in a good air conditioner. Just like any other appliance, an air conditioner requires regular maintenance. Regular maintenance enables this essential appliance to deliver the expected performance. Do you need to engage an air conditioner service professional for such maintenance tasks? The simple answer is you can do it yourself. However, for complicated issues, it is necessary to contact an expert. For now, we will look at the three things that you can do to boost the performance of your air conditioner. Before starting to service your appliance, you should always ensure that its power is switched off. The condenser fan ensures that the air in your room is well circulated. In dusty environments, dust accumulates on this component and it is therefore necessary to clean it on regular basis. You can wipe the dust away by brushing the fan thoroughly with a brush. 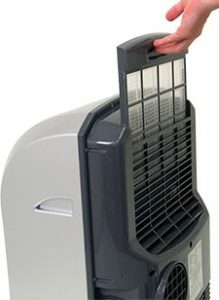 The condenser fan is rotated by a motor. Without regular oiling, the performance of the motor can be significantly affected. It is therefore necessary to ensure that the motor of your air conditioner is properly oiled. When servicing the motor, you should have a set of screwdrivers and lubrication oil. It is important to use the oil recommended by the manufacturer of your air conditioner. To access the motor, you should detach the cover grill and the fan. After removing these parts, you should do a visual inspection and then clean and lubricate the motor. 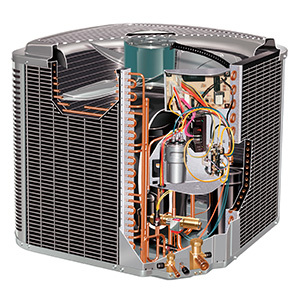 The condenser coils are critical parts of any air conditioning system. You can use a garden hose to clean this part. Before you start spraying inside, you should detach the coil guard and then spray until all the trapped materials are out. Lastly, you should clean the fins with a fine comb. After cleaning them, you will be through with the condenser section and you can move to another section of your air conditioner. The filter captures airborne particles such as dust, hair, insects, and so on. Dirt accumulates on the filter and it is therefore necessary to clean the component from time to time. If the filter is not cleaned regularly, bacteria and fungi can grow on it and contaminate the air in your space. So, how are you supposed to clean the filter of your air conditioner? Before you service your filter, you should inspect it to make sure that it is in good conditions for reuse. In case your filter is in good conditions, you can clean it using a piece of cloth and soapy water. You can also use a soft brush to remove trapped particles. After ensuring that you have cleaned it properly, you should let it dry before reattaching it to the casing of your air conditioner. In most cases, cleaning the component after every two weeks will ensure that your space has a supply of clean uncontaminated air. What are you supposed to do if the filter of your air conditioner is damaged? Reusing a damaged filter will lower the quality of the air in your space. A damaged filter allows airborne particles to go through it thereby exposing you and your family to dust, hair, insects, and other particles, even from your garden tools. Before attaching a new filter, you should rinse it with water and let it dry. In most air conditioners, air is delivered through a system of ducts. Dust, cobwebs, pet hair, dead insects, and other types of particles get trapped in these ducts. To ensure that the air being delivered into your room is free from these contaminants, you should clean the air ducts regularly. After disconnecting the ducts, blow debris from each section using a vacuum cleaner. Reassemble the parts after ensuring that the ducts are clean. Apart from servicing your filter, ducts, and condenser, it is also important to inspect fuses, thermostat, and breakers when carrying out an air conditioner service. Your air conditioner can have thermostat issues if it is running on a depleted battery. Replacing the battery of your thermostat on regular basis ensures that the air conditioner works as expected. In case your air conditioner has an old thermostat, then you may need to have it replaced with a new one. These routine checks help to ensure that your air conditioner is delivering optimum performance. 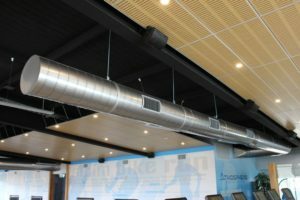 Although carrying out regular air conditioner service helps to enhance the performance of your air cooling system, it is necessary to ensure that you engage an expert when your unit develops a problem. Component failure is one of the most common problems that can cause your air conditioner to fail. Some of the components that can fail due to stress include fan controls and compressor. In case your air conditioner has not been delivering optimum performance, then it is most likely that it requires regular air conditioner service. If you have been servicing your unit on regular basis and it is still not delivering the expected performance, then it could be a case of component failure. Trying to identify the failed component when you are not an expert can result in more damages and it is therefore important to engage a professional. If your air conditioning unit is cooling your house as expected, then you can ensure that it maintains its performance by servicing it regularly. 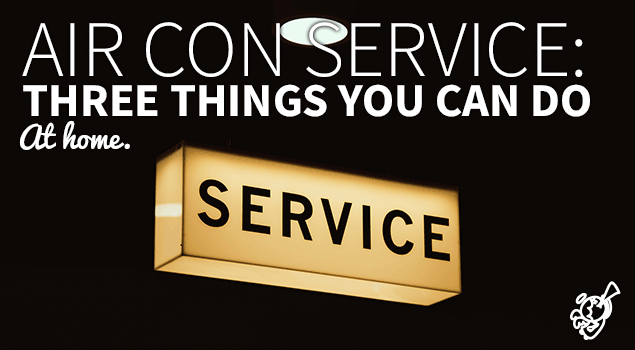 Unless you are suspecting that it has a problem, you don’t need an expert to service it.